I mentioned in a previous post that I was keen to put on an English Bitter. I’ve tasted a few English beers over the years both from traditional pump taps as well as imports and have become a big fan of the less carbonated brews. After some research and playing around I ended up putting the recipe together based on one of Jamil’s recipes from Brewing Classic styles with a few tweaks. 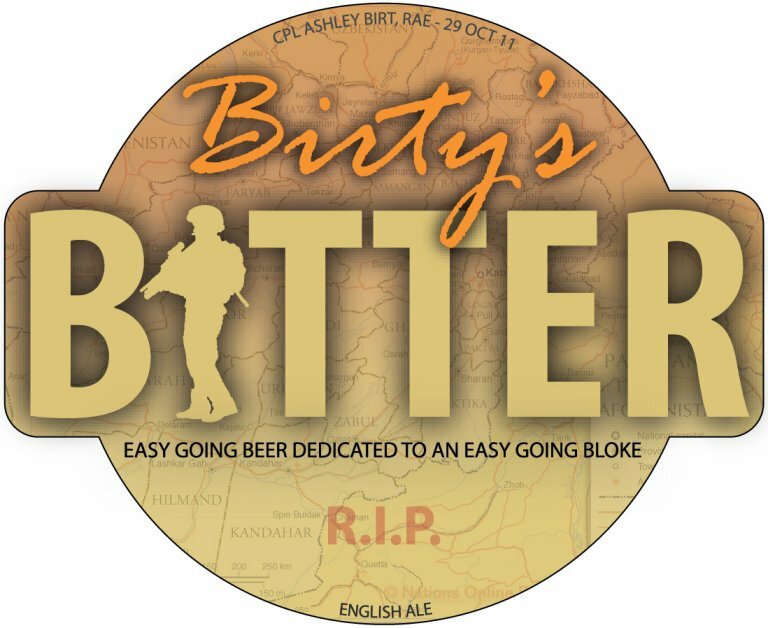 I also mentioned in the previous post that I was dedicating this beer to a bloke I knew who tragically lost his life in Afghanistan, I did up some appropriate artwork for the taps and the job is now almost complete. My way of remembering him. RIP Birty. The beer is due to be kegged in the coming days and should be ready for drinking Christmas Eve.